Marlys’ practice focuses on matters arising under major federal and state environmental, energy, and natural resources statutes. Drawing on a comprehensive understanding of science and policy underlying the Resource Conservation and Recovery Act (RCRA); Comprehensive Environmental Response, Compensation, and Liability Act (CERCLA); Clean Air Act; Clean Water Act; Model Toxics Control Act; renewable portfolio standards; and other regulatory schemes, Marlys advises clients in assessing, managing, and mitigating environmental liabilities and compliance obligations. In addition to her environmental regulatory practice, Marlys has extensive substantive experience in corporate and real estate transactions involving contaminated properties, facility auditing, due diligence investigations, and drafting and negotiating complex transaction agreements. She combines her significant experience in corporate and regulatory transactional projects with an in-depth knowledge of business considerations to advise clients in complex project development, facility acquisitions and divestitures, and other transactional matters. Marlys brings a business sensibility to advising clients in all phases of industrial property and plant acquisitions, from letters of intent, to the negotiation and drafting of transaction documents. She also guides clients through various regulatory approval processes and in the planning and implementation of post-closing integration activities. Marlys is adept at guiding transactional teams that include colleagues with expertise in other practice areas – including energy facility development, transmission regulation, federal government licensing, permitting, real estate disposition, and land use regulation – to ensure an integrated approach to achieving the client’s legal and business objectives. 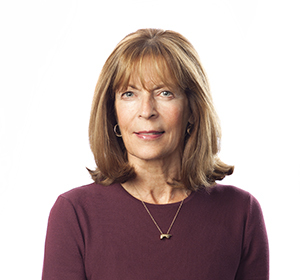 Prior to joining Van Ness Feldman, Marlys was the Senior Vice President and U.S. General Counsel for Philip Services Corporation, a $2 billion company with over 10,000 employees providing integrated hazardous waste management and industrial services to clients in North America and Europe. She was also General Counsel of Sabey Corporation, a pre-eminent Pacific Northwest industrial real estate development company. Her initial legal experience was as a litigation associate in a major Seattle law firm. Successfully settled a multi-million dollar suit, representing the world’s largest paper company in a contribution action brought by a local port related to a “legacy timber mill site” formerly owned and operated by a predecessor of the company. Although the port claimed over $20 million in response costs to clean up and redevelop the site, Marlys navigated difficult negotiations and mediation toward a final settlement of $3 million with a full site release. Responsible for complete due diligence and transaction document review for $2 billion in renewable energy development projects on behalf of several Southern California municipalities. Responsible for over 40 mergers and acquisitions of industrial companies and facilities in the United States, Canada, and Mexico. Primary responsibility for all legal matters for a $2 billion publicly traded industrial services and waste management company. Negotiated and successfully resolved over 20 major RCRA enforcement actions brought by the U.S. Environmental Protection Agency in Regions 2, 4, 8, 9 and 10. Represented a Native American woman-owned small business in negotiation and successful settlement of a complex multi-million dollar contract dispute with the Department of Energy’s prime contractor at the Hanford Nuclear Reservation. As Washington counsel to several California municipalities, responsible for all legal matters related to hydropower and large wind projects located in Washington State. Managed defense of multi-national paper company in natural resource damage action at the Commencement Bay Superfund Site, resulting in no liability to the company. Responsible for due diligence and negotiation of all environmental liabilities on behalf of purchaser of a shuttered industrial pulp mill. Prepared documentation, supervised due diligence, and negotiated on behalf of purchaser of a multi-million dollar vineyard in Washington State. Represented numerous clients in the negotiation and purchase of contaminated industrial properties. Lead PRP counsel for multi-national industrial services and waste management company in Superfund sites located in Washington, Kansas, Michigan, New York, Alabama, California, and Texas. Managed contract negotiations and preparation of all transaction documents for multi-million dollar public-private, design, build, and operate water treatment plant for the City of Seattle. Lead counsel for company primarily responsible for chlorinated hydrocarbon groundwater contamination investigation and cleanup, which included a significant vapor intrusion project, in U.S. EPA Region 10. Responsible for development of legal support for several BACT, Title V Permit, and synthetic minor determinations under the federal Clean Air Act and state equivalent regulations. Co-Chair/Presenter, "Recycling: Update on the New EPA Definition of Solid Waste (DSW)"
"Energy Services of the Future"
"Integrating Renewables in the Grid: Transmission Planning and Financing"
Program Co-Chair, Panel Moderator "Implementation Issues and Strategies for Local Governments"
Speaker, "Managing Unused Pharmaceuticals: New Obligations on Healthcare Providers, Expanded Definition of Healthcare Facility"